*In 2015-2016 we have changed to a 4 week block schedule to better align with off-service rotation schedules. This did not cause an appreciable change in scheduling other than slightly less time off-service. **EMS is longitudinal experience over the three years of training. *** The Curriculum is dynamic and adjustments are made based on resident feedback. EMS: Our EMS rotation is a longitudinal experience over the course of the three-year training program with varying responsibilities per PG year. Our faculty members are the medical directors for both the Kansas City, Missouri Fire Department and Johnson County, Kansas EMS systems, giving our residents unique opportunities to see EMS in action on both sides of the state line. 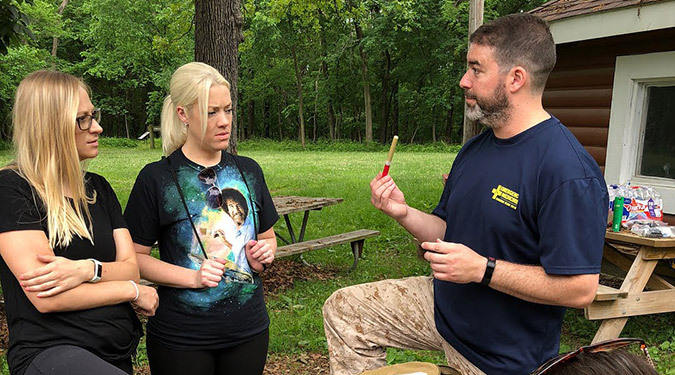 Experiences include: Ambulance and supervisor ride-alongs, QI/protocol reviews, administrative meetings, and paramedic teaching/mentoring (often in the UMKC Simulation center). All our residents become certified as base-station physicians and provide pre-hospital direction for a large urban paramedic system. 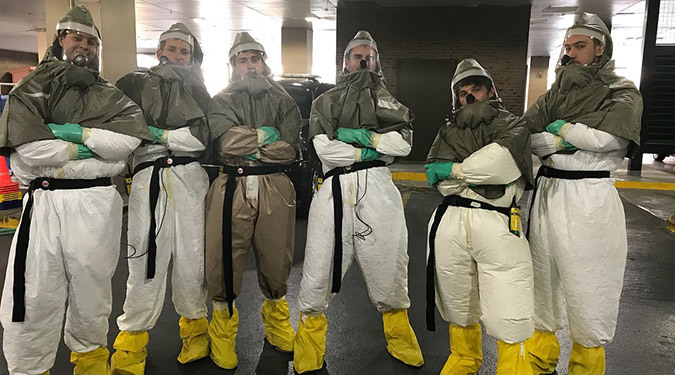 Our residents also have unique opportunities to participate as healthcare providers at mass gatherings and city-wide disaster events. Aeromedical Program: Aeromedical experience is not available due to resident safety concerns. 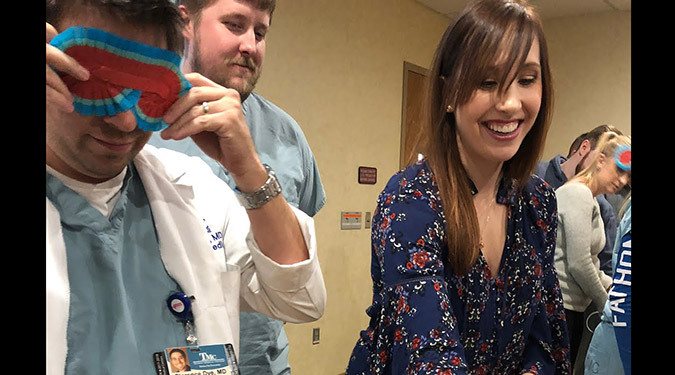 Pediatrics: Our primary site for pediatric training is at Children’s Mercy Hospital, which is continually recognized as one of the top Children’s hospitals in the country. Our pediatric experience is both focused and longitudinal. 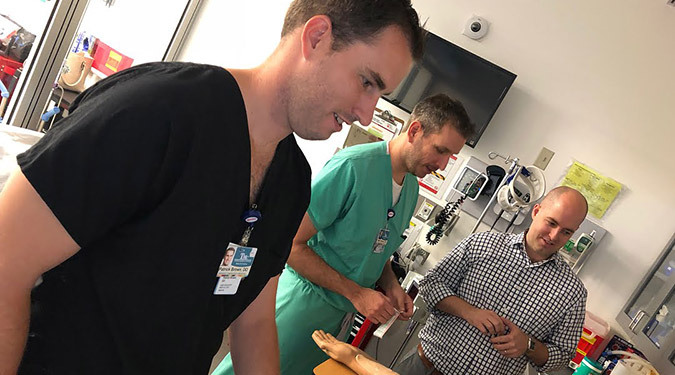 In addition to rotations in the PICU, NICU, and one block in the CMH ED per PG year, our PGY2 and PGY3 residents work 1-2 shifts/block (while rotating in the TMC ED) in the CMH ED allowing for continual pediatrics exposure. CMH has one of the busiest EDs in Kansas City and was one of the first established Pediatric Emergency Medicine fellowships in the country. 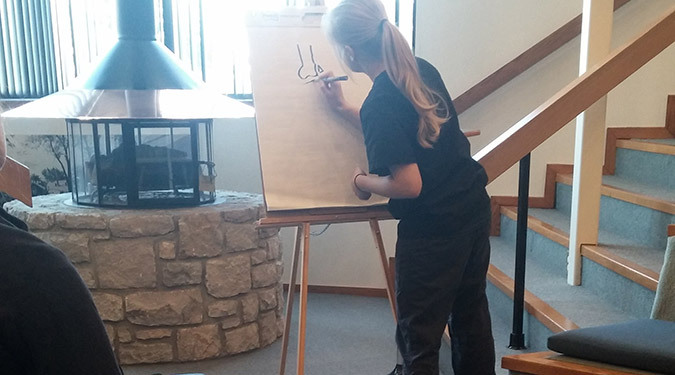 Our residents consistently say they feel comfortable caring for ill children by the end of their training. Elective program features: Residents are encouraged to individualize their elective time based on educational experience needs/interests. The program works with residents to optimize elective time for research or other educational experiences. 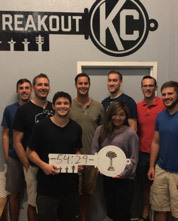 Recent electives include hyperbaric medicine, Sedation/procedures, oral surgery, radiology (pediatric and adult), ultrasound, research, education/simulation, and administration. 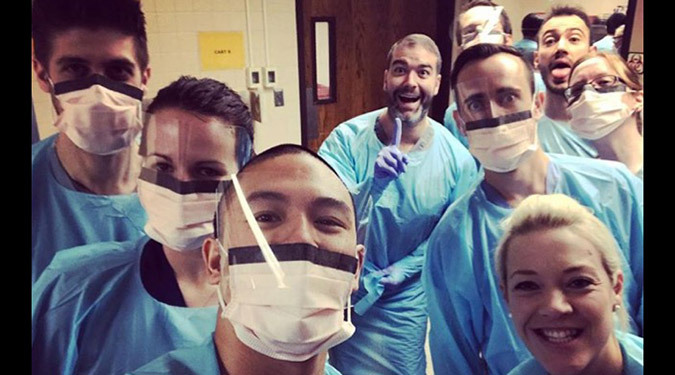 Global Health: The UMKC Truman Emergency Medicine Residency Program is pleased to offer a Global Emergency Medicine and Community Health Track. This track serves as an introduction to the field of global health with a focus on emergency medical care. It will also serve to prepare residents for a global health elective. The curriculum consists of self-paced learning modules and in person didactic sessions that consist of small group discussion, journal club, workshops, simulation, and project/elective preparation. 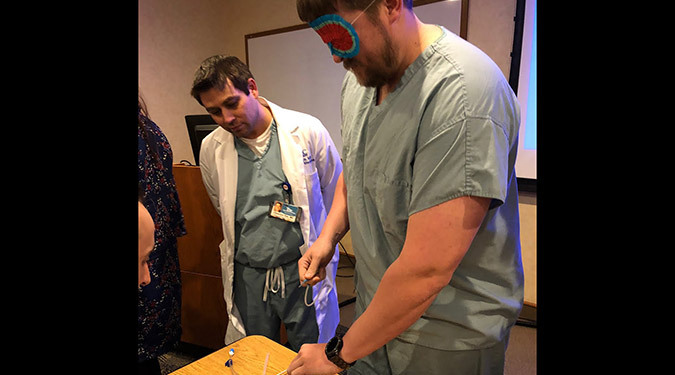 In addition to these didactics, the residents will have the option to complete a scholarly activity that would fulfill their RRC Scholarly Activity Requirement. Ultrasound: Please see our Ultrasound section for further details. 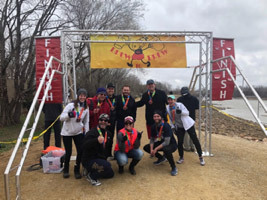 Wellness: We have a robust wellness program that includes didactics, a biannual survey for faculty and residents, and events both at and outside of work. Didactic topics include career planning, financial wellness, and resilience. Our annual Wellness day incorporates both fun and learning (always with food). We continue to expand our curriculum in this area and additions this year include a book club and a community service event. Mentorship and feedback: Each resident is assigned both a PGY2 and faculty advisor at the start of the residency program to assist and guide the resident throughout training. The residents meet with their advisor biannually. The residency leadership team also meets with each resident biannually to discuss wellness, evaluations, and the resident’s progress towards graduation. 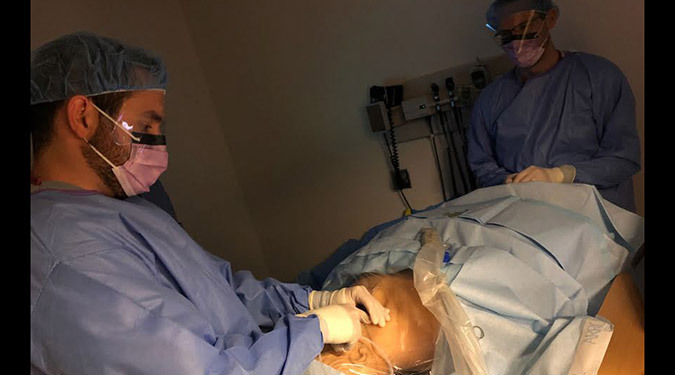 Residents receive regular performance feedback including face-face shift evaluations, monthly faculty consensus evaluations, procedure evaluation forms, biannual Milestones assessments, and yearly peer-peer evaluations. Residents are also given the opportunity to confidentially evaluate the program and faculty on an annual basis. In general, we strive to make our didactic conferences interactive, interesting, and clinically relevant. To that end we continue to incorporate adult learning techniques such as small group interactions, case-based discussions, and the “flipped classroom” approach in addition to traditional didactics. We have developed a comprehensive Google Education website for our residency which houses our curriculum, resident dashboards, calendars, forms, and multiple other learning resources. Case Conference: Weekly conference that reviews an interesting clinical case; highlighting problem areas pertinent to emergency medicine. Real-life cases from the ED are presented in an interactive manner with the audience, with a focus on problem-solving and Oral Boards format. Theme of the month reviews: Twice monthly conference designed to cover the content of the Model of the Clinical Practice of Emergency Medicine over a 2-year period. Topics are presented by the residents with faculty input and oversight. Presentations are a mix of core content, review questions, and multi-media resources. Residents have a suggested reading schedule using Tintinalli’s Emergency Medicine as their core text. Faculty Lecture Series: Occasional conference given by our emergency medicine faculty. Faculty discuss Core Content of EM, including areas of their expertise. Interactive discussion, Board-style review questions, current literature review, case-based discussions, and simulation experiences are some of the adult learning strategies used. The faculty may use an audience-response system to get “real-time” feedback to ensure that residents understand key concepts. Resident Education Cases: 30 minute clinically based sessions given by faculty. The focus is on practical topics such as procedures, imaging, ultrasound, or ECG interpretation that tie into our “theme of the month”. EM Journal Club: Monthly conference that discusses recent journal articles from the EM literature, with a focus on critically interpreting the literature and developing an understanding of evidence-based medicine. A team approach is used, with a PGY-1, 2 and 3 resident presenting different aspects of the article and key concepts with the guidance and input of our departmental Research Director and a faculty mentor. Multidisciplinary Trauma conference: Monthly conference that emphasizes the institutional teamwork necessary to care for a trauma patient from the pre-hospital setting to the Emergency Department to Surgery to Intensive Care to Rehab to discharge. Emergency Medicine Morbidity and Mortality conference: Monthly conference that examines better methods for handling EM cases with a focus on quality improvement and system changes. A chief resident moderates and collaborates with a PGY-2 resident for discussion points. Emergency Medicine/Internal Medicine Morbidity and Mortality conference: Interdisciplinary quarterly conference that emphasizes a team approach to patient care, including quality improvement practices and patient safety. Emergency Medicine/Trauma Services Morbidity and Mortality conference: Monthly conference that emphasizes a team approach to patient care, including quality improvement practices and patient safety. Residents Quality Management Meeting: Bi-monthly meeting to facilitate communication and performance improvement between EM residents, faculty, nursing, and support staff. Resident feedback to improve processes and their educational experiences in the ED and on other clinical rotations is solicited and discussed. Pediatric conferences: Pediatric emergency medicine faculty from Children’s Mercy Hospital give regular monthly didactic conferences over core content and host Journal Club every third month. Pediatric simulation and sedation workshops are also provided annually. In addition, we incorporate pediatric activities into most of our hands-on activities. 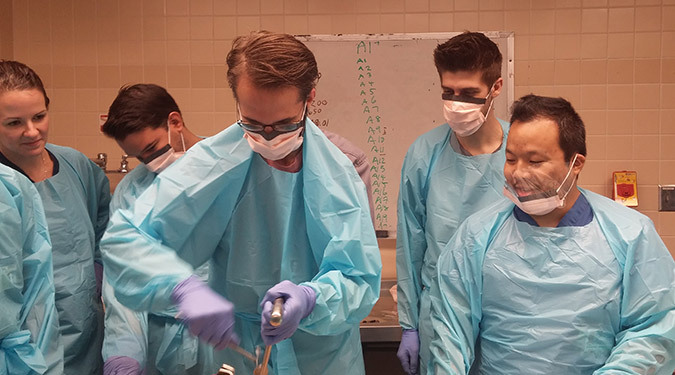 Annual Cadaver Lab: Over the course of several weeks, residents practice infrequently-done but important, often life-saving, procedures with direct EM faculty supervision. Direct feedback on procedural skills is given. 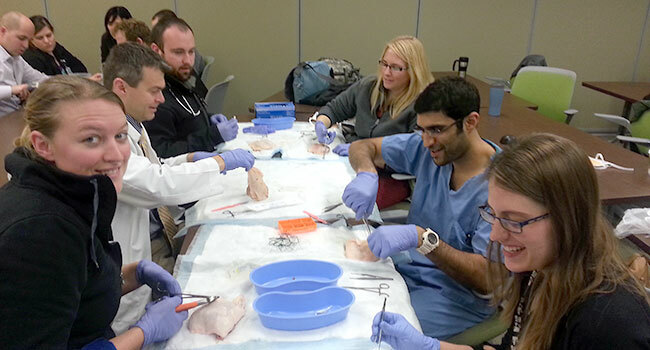 This experience includes an annual introduction to the procedures, a procedural knowledge test, and skills evaluation. 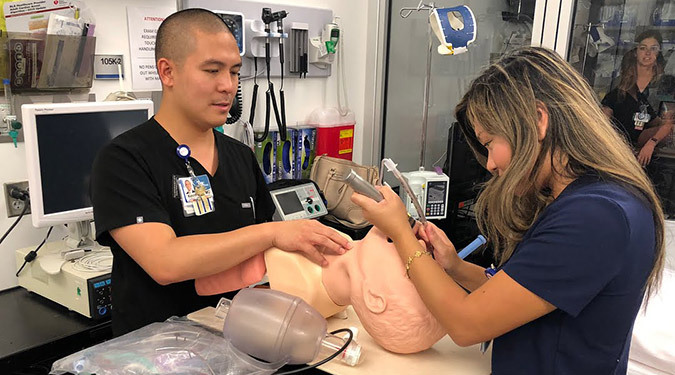 Simulation and “hands on” experiences: We have implemented adult, active learning through simulation and “hands on” experiences on a regular basis, including case-based, critical care decision making, and procedural. We typically incorporate inter-professional education with the assistance of our ED pharmacist. Sessions in our state-of-the-art simulation center occur monthly and are based on the “theme of the month”. We even have access to our own ambulance and have used it to simulate trauma transfer care between facilities and to incorporate inter-professional education with paramedic students. Other recent sessions have included: management of difficult airways, vascular access, US workshops, pacing/defibrillation, foreign body removal, epistaxis management and pediatric airways and sedation. 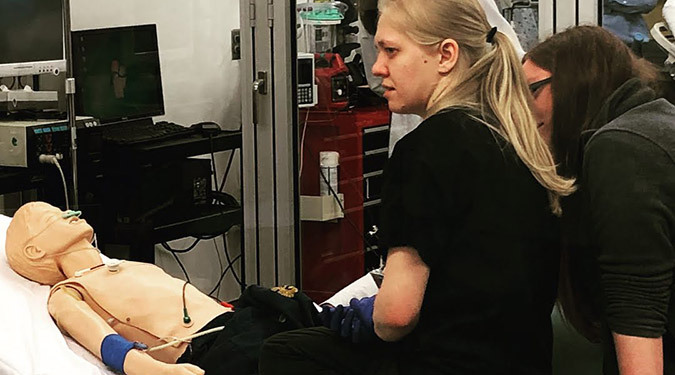 Our residents regularly use simulation as instructors for ACLS, Central line course, and the Paramedic/EMT training program at the UMKC School of Medicine. Additional experiences: We also try to “break up the routine” on occasion. Recent examples of more innovative opportunities include: a bus tour of the community we serve, a Wilderness event with sessions on mass casualty management and field procedures and a procedural “boot camp” for our PGY1 class focusing on frequently performed procedures such as splinting, lumbar punctures, and slit-lamp usage. Asynchronous learning: For board style practice questions, we use the ROSH Review question bank. We also utilize Academic Life in Emergency Medicine (ALiEM U) site; an on-line open-access, peer-reviewed site for EM faculty, residents, and practitioners. We are also developing an online curriculum that can be used as an online study aid and to “flip the classroom” during conference theme of the month didactics. Residents also have opportunity for asynchronous credit through Journal Club assignments, on-line teaching modules, and EM Foundations sessions @ https://foundationsem.com/.